The 10G transceiver is considered as the mainstream module in the market due to its mature technology and low price. There are various types of 10G transceiver modules like 10GBASE SR, 10GBASE LR, etc. 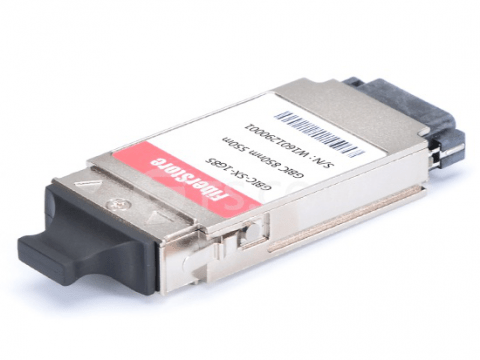 SFP-10G-SR and X2-10G-SR are two very popular 10GBASE SR optical transceivers, which offer customers a wide variety of 10 Gigabit Ethernet connectivity options for data center, enterprise wiring closet, and service provider transport applications. Here, we will make a comparison between SFP-10G-SR and X2-10G-SR.
SFP-10G-SR belongs to 10GBase SR SFP+ transceiver modules family. It has the industry’s smallest 10G form factor and the highest density of each chassis. As a hot-swappable module, it can be plugged into the Ethernet SFP+ port on a Cisco switch without the need to power down the host network system. 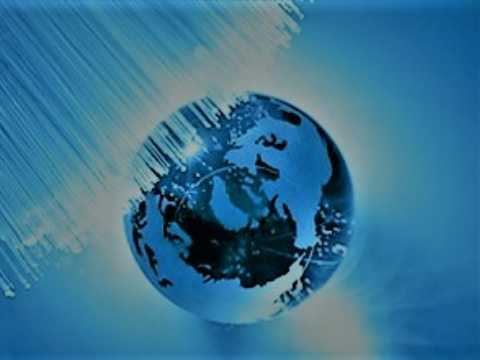 Besides, it provides 10GBase SR throughput up to 300m over laser-optimized OM3 multi-mode fiber (MMF). This module has LC duplex connector operating over 850nm for short reach. In addition, minimum cabling distance for SR modules is 2m, according to the IEEE 802.3ae. The X2-10G-SR is a highly integrated 10GBase SR module for high-speed 10Gbit/s data transmission applications. It is a hot-pluggable 70-pin connector with XAUI electrical interface. X2-10G-SR is Designed for 300m transmission distance over multi-mode fiber with a vertical cavity surface emitting laser(VCSEL). It has SC duplex connector operating over 850nm for short reach. The operating case temperature standard is from 0℃ to 70℃. What’s more, X2-10G-SR is compatible with X2 MSA Rev.2.0b and SFF-8724 Digital optical monitoring. 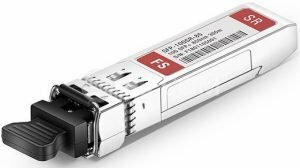 SFP-10G-SR and X2-10G-SR have many similarities, for instance, they support 10 Gigabit Ethernet, provide a link length of up to 300m on multi-mode fiber, deliver serialized data at a line rate of 10.3125 Gbit/s, have the same receiver sensitivity and TX power and so on. However, these two transceiver modules still differ in some aspects. Obviously, X2-10G-SR is paired with SC duplex connector interface with MMF while SFP-10G-SR has LC duplex connector with MMF. So it is a very important distinction for you to consider choosing the right transceiver modules. 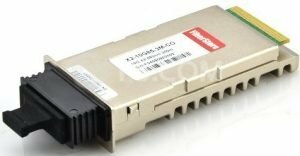 If you want to buy a 10G transceiver module with LC connector, SFP-10G-SR might be an ideal choice. Although different vendors may make the different price of SFP-10G-SR and X2-10GB-SR transceivers. In general, the SFP-10G-SR price is lower than the X2-10GB-SR. Both SFP-10G-SR and X2-10GB-SR are intended for 10 Gigabit Ethernet deployments in diverse networking environments. But the former can also be applied in 10GBASE-EW at 9.95Gbps, 1000 Base-LX Ethernet, 8x FC at 8.5Gbps, 4x FC at 4.25Gpbs, 2x FC at 2.125Gpbs and other optical links. SFP-10G-SR is with SFP+ transceiver package and are used in SFP compatible slots. While X2-10GB-SR is with X2 package and used in X2 compatible slots. After the comparison of SFP-10G-SR vs X2-10GB-SR, we can see that each one has its own set of advantages and disadvantages. In fact, it totally depends on your actual needs. 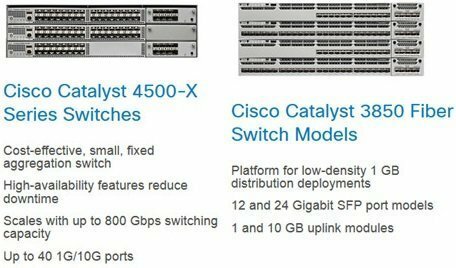 How to Choose the Fiber Optical Solution for Cisco Catalyst 4500-X Series Switch? 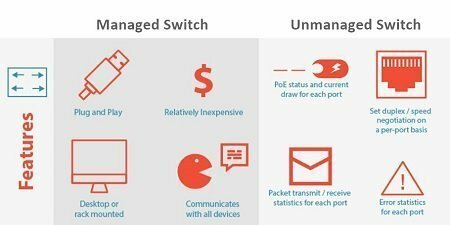 24 Port PoE Gigabit Switch Managed vs Unmanaged: Which One to Choose?